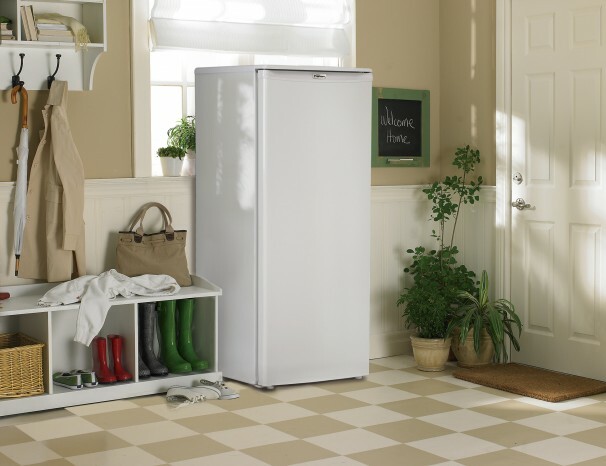 If your freezer just isn’t big enough for your family’s needs anymore you can always add a supplemental unit such as this extremely efficient model by Danby. 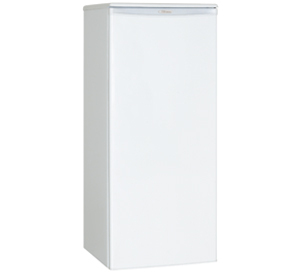 The stylish freezer provides you with 8.5 cubic feet (241 litres) of ice-cold storage space and it doesn’t take up much room due to its popular upright design. It’s the ideal appliance for homes and cottages. Organizing your food items is made easy with the three quick-freeze and four door shelves. The valued Energy Star rating means it will help keep your power bills down and the integrated door handle and fresh white finish offer an attractive look. This model runs as smoothly as possible with the precise, easy-to-program mechanical thermostat and the manual defrosting system. You’ll also find it boasts a smart scratch-resistant worktop for your extra accessories and the reversible door hinge is designed for either left or right-handed opening. In addition, this stunning appliance also boasts a 24 month warranty on parts and labor with handy in-home service.